Headquartered at LUSEP, the ETI brings together projects that accelerate the development of affordable, clean, secure technologies needed to help the UK meet its 2050 climate change targets. LUSEP energy cluster organisations have collaborated on a number of major ETI initiatives. 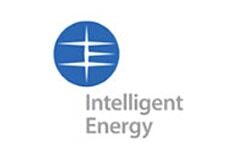 Intelligent Energy Holdings plc delivers clean energy solutions for the distributed energy, diesel replacement, automotive and aerial drone markets. Working with international companies, it aims to embed its fuel cell stack technology into applications across its target market sectors. This unique facility enables the evaluation of heating controls, thermal storage, insulation measures, etc. Thermal characterisation and synthetic occupancy allows even small energy savings to be accurately quantified. The leading technical advisor to the global oil and gas industry, DNV GL is an established part of LUSEP’s thriving energy cluster. It is working with some of the sector’s best known companies to enable safer, smarter and greener operations in every hydrocarbon-producing country in the world.